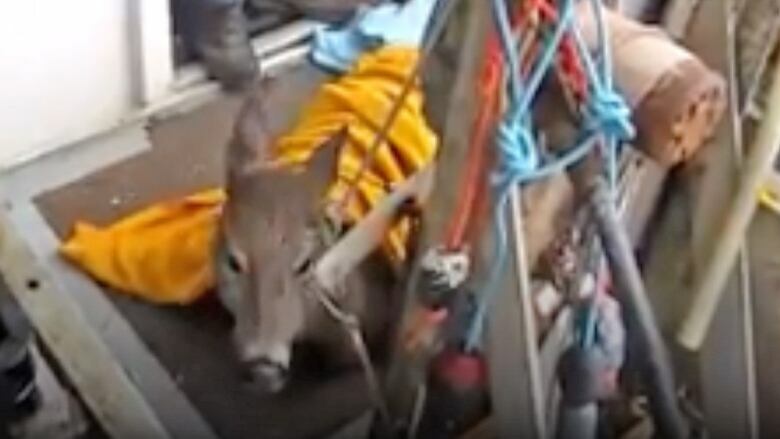 In a twist of fate, a lobster fishermen who got into a car crash involving a deer just months ago ended up rescuing a small doe trapped in sea ice. 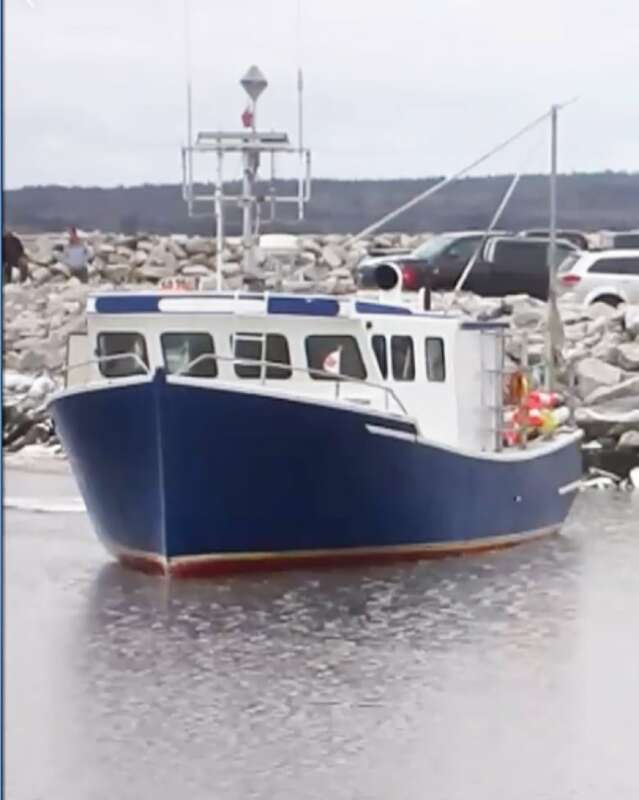 In a twist of fate, a Shelburne County lobster fisherman who got into a car crash involving a deer just months ago ended up rescuing a small doe trapped in sea ice. Sterling Goulden's wife, still recovering at home from a fractured spine, spotted the struggling animal last week, monitoring its progress with patience and a pair of binoculars. "It would put its little paws up and break the ice," Margo Goulden said. "But then it would put its little head down until it had enough strength to do it again." She quickly realized it needed help. Centuries of fishing have taught Nova Scotia's seaside communities to be ready in case of emergency; many a fisherman has gotten up in the wee hours to respond to the plight of another. So it didn't take long for Goulden's sister to show up with blankets, her own husband and his rowboat. By then, word had spread throughout the hamlet of Gunning Cove and a few extra pairs of hands arrived, Margo Goulden said. The rowboat couldn't get through the ice, nor could the deer heave itself onto the breakwater. At that moment, Goulden's husband arrived home from a day of fishing, his boat steadily chugging toward the animal. He managed to get a lasso around the doe, Goulden said, and get it aboard using the trap hauler. The little deer can be seen shivering in a video shot by its rescuers, despite being buried under several blankets and a tarp. Its fur looks matted with ice. But then it begins to move. "It took about an hour, but then it started to get to its feet," Goulden said. Sterling Goulden manoeuvred the boat into his own wharf and the deer stepped out and walked up his driveway. He'd sworn not to help a deer after the crash, but credited his wife's goodness in wanting to help. "I don't know what happened to the little deer after it left," his wife said. "But it was all quite a thing to watch."